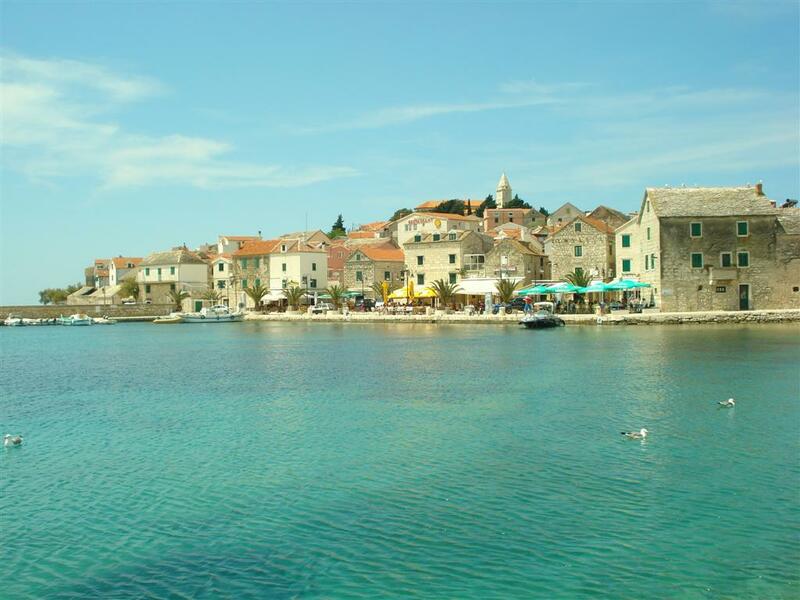 Rogoznica is a small town which is located in the eponymous cove between Sibenik and Split. It’s 35 km from Sibenik and 55 km from Split. Rogoznica is located on a peninsula that was once a small island Kopara. In the second half of the 19 century Kopara island was by an artificial embankment connected to the land. The bay is protected from strong winds and is one of the safest harbours on the Adriatic coast. Population was in the past engaged mainly in fishing and farming and today are oriented towards tourism. 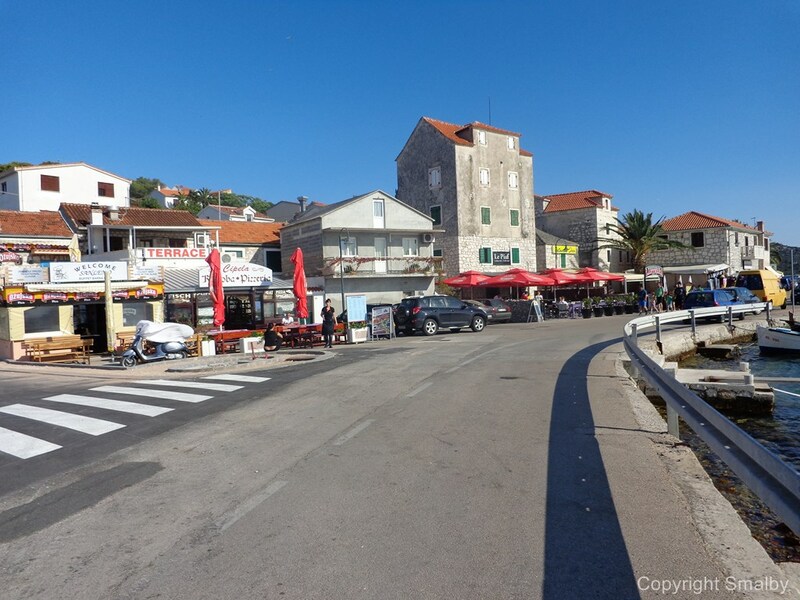 But still today in Rogoznica there is a large number of fishermen, so here you can buy fresh fish and enjoy Dalmatian specialties of which the most know is Rogoznica stew. 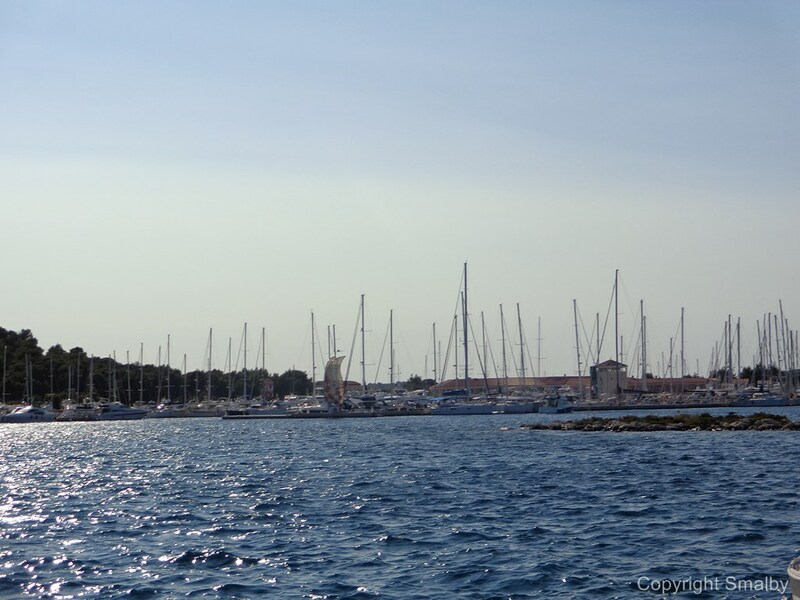 Rogoznica has one of the most beautiful marinas in the Adriatic – Marina Frapa with a total of 450 berths. Marina is built on an artificial island and within the complex there is a hotel, cafes, restaurants, a sports centre, swimming pools, a nightclub . Marina Frapa is central to all major events. 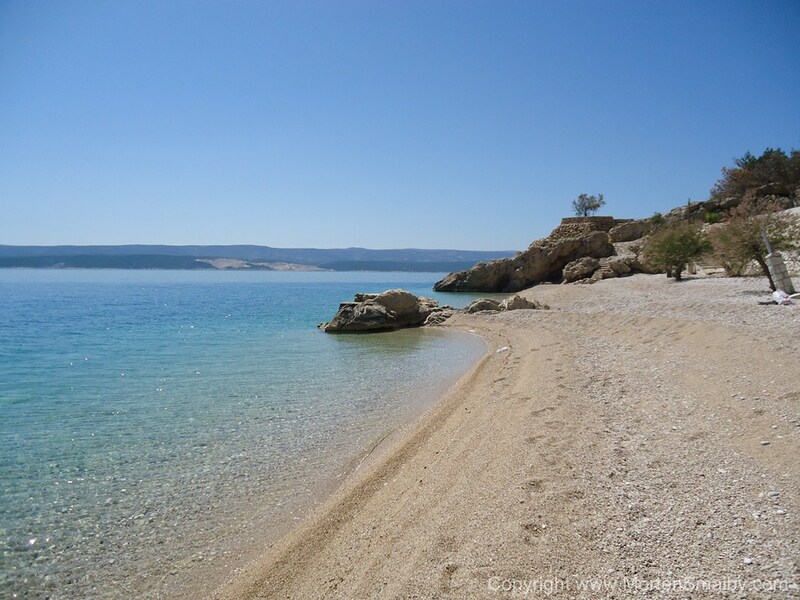 Rogoznica has a 54 km long coast, so that visitors have a large number of beaches – mostly sandy and rocky. 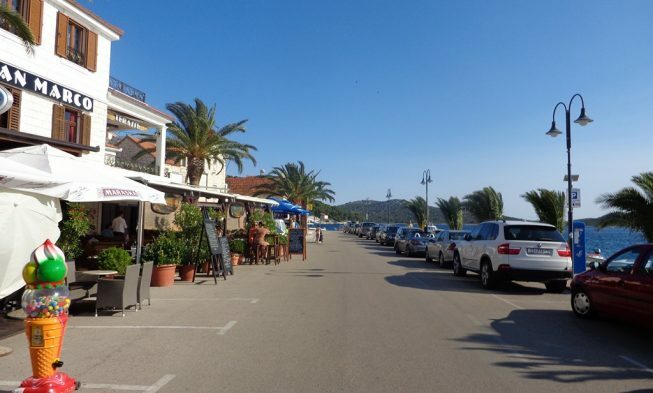 If you do not like crowds on the beaches, in Rogoznica you will have no problem finding a lonely spot and enjoy a real vacation – without the crowds and stress. Art Beach is a rocky beach and is next to the bridge. The beach is not suitable for families with small children and non-swimmers. Not far from the beach, there is a centre with restaurants and shops. 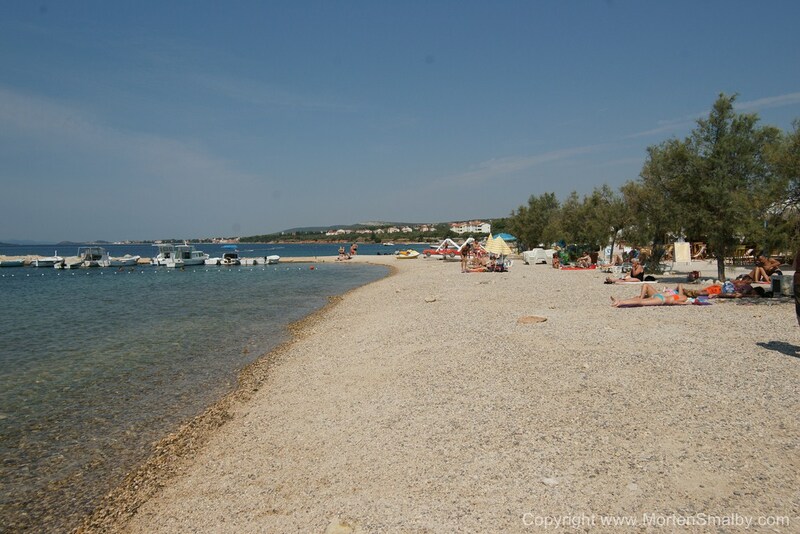 Pebbly beach Miline is located in the centre of Rogoznica. The beach is located in a sheltered bay, access to the sea is easy, so the beach is ideal for families with small children. In the season it is very visited, so it can get quite crowded. Near the beach there are cafes and restaurants. Sepurina beach is a pebble beach with a Blue Flag – an international award for quality of service and cleanliness. Access to the sea is easy and the beach is ideal for families with small children. The beach is equipped with showers, toilets, changing rooms, and you can rent umbrellas and lounge chairs. Near the beaches there’s a cafe and restaurant. Rogoznica has the largest number of accommodation in private apartments. 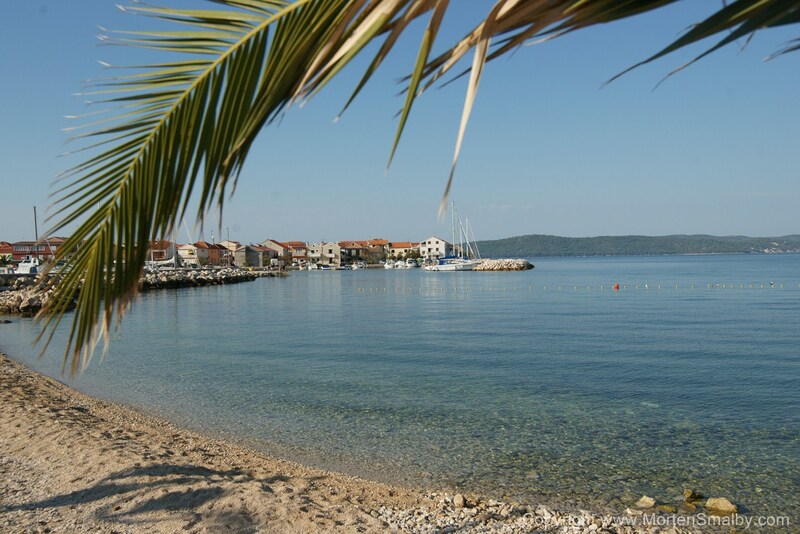 Rogoznica has several small family hotels and luxury villas with pool. Also, in the Marina Frapa there are two luxury hotels. As we have said, even today Rogoznica has a large number of fishermen, so finding fresh fish here is really not a problem. For this reason, in one of the taverns or restaurants order fish and we believe that you will not be disappointed. Antonio Restaurant in Rogoznica offers a variety of fish and meat dishes, and if you choose fish menu we definitely recommend the octopus salad and fish carpaccio of three species of fish. Rogoznica coast is indented with plenty of hidden bays and small islands, so if you love the sea adventure, we recommend you hire a small boat and study by yourselves this beautiful coastline. In the centre of town visit the Church of the Assumption, built in 1746 and the church of St Nicholas from the Middle Ages. Near Marina Frapa there is also another natural phenomenon – the lake Zmajevo oko (Dragon’s eye). The lake is of irregular oval shape and filled with seawater and is considered to be a natural bioreactor in which biochemical processes take place. 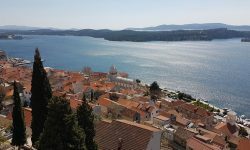 For those visitors who prefer to visit historical sights we recommend a tour to Sibenik – the oldest Croatian town on the Adriatic coast. During the season in Rogoznica various events are organized, and the most important is certainly the traditional Rogoznica fishing night. In the evenings we recommend walking along the beach and relax in one of the bars with cold cocktails. For those who want to party until the early morning we recommend going to the Aurora nightclub in Primosten. If you are arriving by highway A1 from the north then exit at exit Sibenik and continue by the local road to the south towards Rogoznica. The nearest airport is Split airport, only 28 kilometres away. From Split you take the coastal road, but in the season bigger traffic jams are possible.